Conducted in consultation with medical doctors, Healthy Spines provides specific rehabilitation exercises for those struggling with recurrent back and neck pain and who prefer exercising in a group. Common conditions addressed include upper back pain, lower back pain and poor posture. Healthy Spines classes give participants the reassurance that a qualified professional is implementing the correct strengthening and flexibility exercises to ensure spine health. 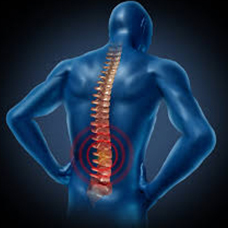 One of the contributing factors in back pain is a lack of stabilisation of the vertebrae in the spine. Through instruction of specific exercises that target the stabilising muscles of the spine, spine health can be achieved whereby one’s musculoskeletal system is able to function optimally in activities of daily living. Benefits of our programme include pain management, improved quality of life, correct posture, improved lower back pain, pelvic stability as well as balance. Our Biokineticists perform a thorough evaluation before our participants’ begin their rehabilitation. This is to ascertain what their specific back problem is and to determine whether they have any muscular imbalances, instabilities, weaknesses or reduced ranges of movement. 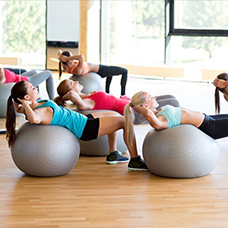 Once participants have completed their evaluation, they will be encouraged to either join one of our Healthy Spines classes or will be advised to arrange an individualised exercise programme. The therapeutic modalities used in Healthy Spines include functional stabilisation exercises to improve the body's internal corset, posture exercises, fascial release, neural flossing and flexibility exercises. Activities of daily living are analysed and altered to improve daily posture and improve pain and function. In the final phase of rehabilitation a functional, progressive resistance exercise programme is prescribed to improve overall strength and optimise movement in the patient. In most cases, long term maintenance of spine health through exercise is optimal so that clients can ensure that further degeneration does not occur and that they are able to cope better with activities of daily living.